For some, a solid box mod or pen-style vape is all they need to get to work. Others, though, prefer a touch more variety in their lineup. Enter the e-pipe or vape pipe; one part classy vaping implement, one part futuristic take on an old-school classic, and all around amazing if you want a vaping experience that's out of the ordinary. 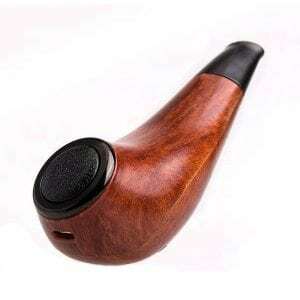 The big mod makers have a knack for combining the classic look of a pipe with modern technology in a way that feels spot on for around-the-house relaxing and vaping. With that in mind, you're probably ready to get into it, so let's start our review and track down which are the mods to add to your collection. If you want quality along with your e-pipe, you should be prepared to spend just a little more than you would with a low-end pen or box mod. In addition to functional vaping devices, these are works of art! The best e-pipe on the market are going to look great, pull smooth, and hopefully be easy for you to operate. 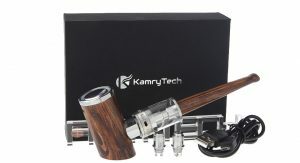 Stunning looks, high quality, and a ton of color choices help this e-pipe from Kamry stand out. Though the stylish appearance and solid build will likely be the first thing to catch your eye, the Kamry has plenty of functionality to hold your attention. The Kamry can accept multiple tanks, so feel free to switch to a compatible one that's more to your liking if the standard tank isn't your speed. As a simple mech mod, you need only set the K1000 up, load your e-liquid, and get to vaping. The internal battery puts out 1100mAH, and while it might not be the heaviest hitter on the market, the simple operation makes the Kamry one of the best e pipes, especially when you consider it's affordable price. 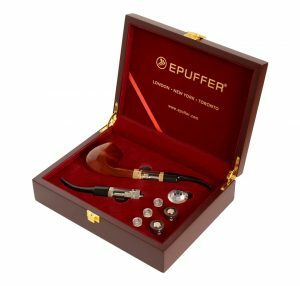 The E-Puffer 629 X Kit New 2018 Model looks more like a traditional wooden pipe, but don't let the appearance fool you. The 629 has some high-tech advances powering the smooth draws and superior flavor you'll get from your e-liquids. The 629 is powered by an IMR-1100mAh battery. You can get a fair amount of life from it, along with a good number of puffs from the 629. Thanks to the 510 threading, you can attach a number of different tanks to suit your preferences. This is a solid e-pipe if you're going for the high-end look and don't mind it's higher price tag. This e-pipe represents something of a cross between old and new. It's got a maple style body, for sure, but is more of a high end vaping device. 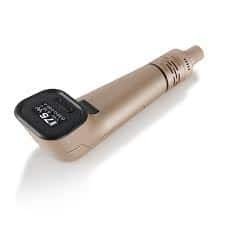 It has an LED light indicator which blinks up and down while using, and the included mouthpiece is ergonomically designed to give you the most comfortable vaping experience. The included BVC atomizer has a 1.2ml tank and a 0.7 ohm resistance, which can be filled easily due to its detachable structure. 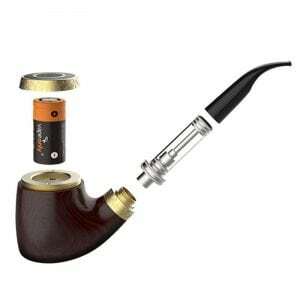 What's great about this electronic smoking pipe is that it includes 18350 vape batteries, making this one of the best vape pipes for sale. The Kamry Turbo K Kit is one of the latest releases from this brand, and is certainly one of the best looking of the bunch. The robust body and sleek wooden finish are a sight to behold. The Turbo K brings more to the table than an impressive look, though, it has an 2ml e-liquid capacity, and features a top fill design, which isn't the standard for these style of vaping devices. The Kamry Turbo K also boasts a 1000mah internal battery, which can be conveniently charged via it's micro USB port and has low voltage protection, which is always a good safety feature to have. The maximum wattage output is 35w, which is more than enough for most vapers. If you're looking for one of the best vape pipes, then this is one to consider. Another one that's more on the futuristic side. The Elitar features a single color metallic body with a slender pipe shape. It requires an 18650 battery for operation and has a maximum wattage output of 75w, making it one of the most powerful e-pipes available today. Like many box mods, the Joyetech Elitar features temperature control, allowing you to really dial in your preferred vape. It also sports a crystal clear 0.66 inch OLED display, and best of all wattage control, which also makes it one of the more advanced vape pipes you can buy. With all of these features packed into one and mixed with the included Elitar Pipe Atomizer, you'll be enjoying each and every vape you take. An E-Pipe is a personal vaporizer and is known by many names such as electronic smoking pipe, vape pipe, vape pipe smok, and more. It really all depends on the device itself, and the brand behind it. 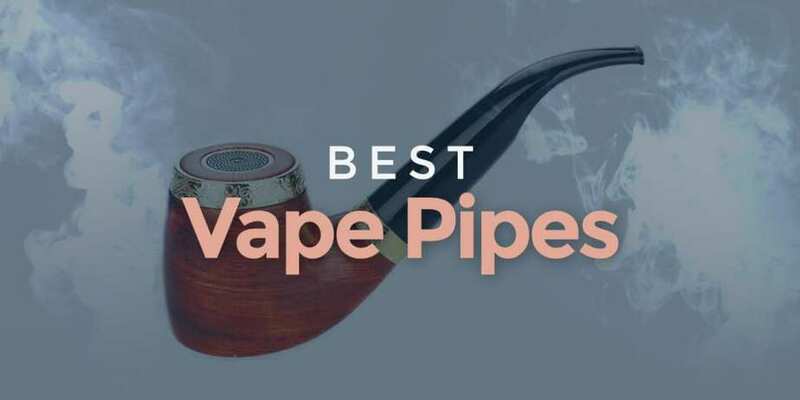 The main thing you’ll notice about these style of vaping devices is that they all feature a similar look, one to mimic that of an actual cigar pipe. This isn’t for everyone, but for some vapers and ex-smokers, it’s desired. They all give off that classy look, and are not for those looking to get into cloud chasing. 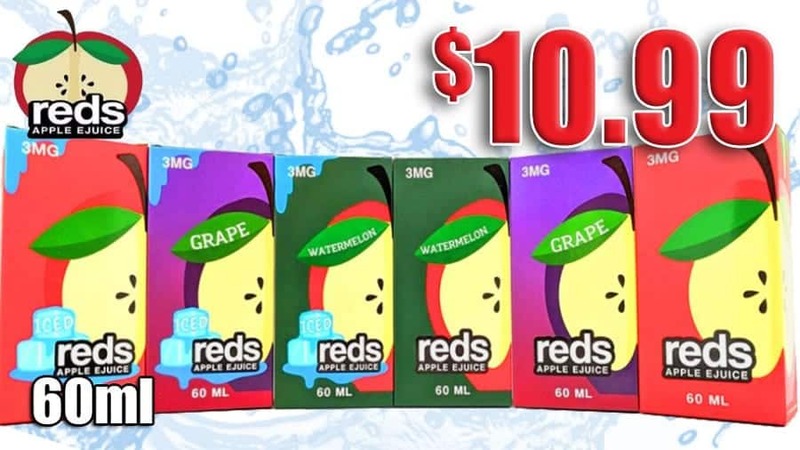 At the end of the day, they all provide the same type of vaping experience, so picking the perfect one for you comes down to personal preference. When debating on choosing your first e-pipe, there’s a few things to consider. The major one is simplicity, do you want something that’s easy to use and only requires the press of one button or do you want something more advanced, which gives you the most control of your vape experience. Of course, there’s pro and cons to both such as difficulty of use, and price tag, but that’s for you to determine at the end of the day. Learning to use something more advanced may be more beneficial down the road, but it’s surely not for everyone. Regardless, you won’t go wrong with none of the products listed here, and the most important thing is that you’re no longer smoking! There you have it, some of the best e-pipes on the market today. There’s some that’s more affordable than others, but typically lack the more advanced features that are offered such as temperature control or impeccable build quality. If you’re looking for one that packs a serious punch, then the Joyetech is definitely one to check out with its 75w maximum output wattage. However, if you’re looking for something simple and easy to use, one of the Kamry models will suit you perfectly, especially since they’re also the cheapest. The VapeOnly is definitely the one in the middle, where the build quality is there, but it doesn’t come at a steep price tag. Not to mention, it includes 2 vape batteries needed to operate it, which is a nice bonus. If you’re into the finer things in life, and want the best e-pipe that money has to offer, then the 629 X Kit is the ideal choice.. Although it is expensive, it does include a lot of extras, giving you value. The vape and build quality is second to none, so if that’s what you’re after, then this is the one to get.